The Baylor Department of Theatre Arts makes its home in the Bill Cook and Pat Cook Annex to the Hooper-Schaefer Fine Arts Center. and Theatre 11, a multi-form space with movable seating and masking and an extensive lighting/sound grid. In addition to theatres, Hooper-Schaefer is home to a dance studio, faculty offices, fully equipped costume and scenic shops, a design/computer lab, a technology-ready classroom, green room, dressing and makeup rooms, and a box office. 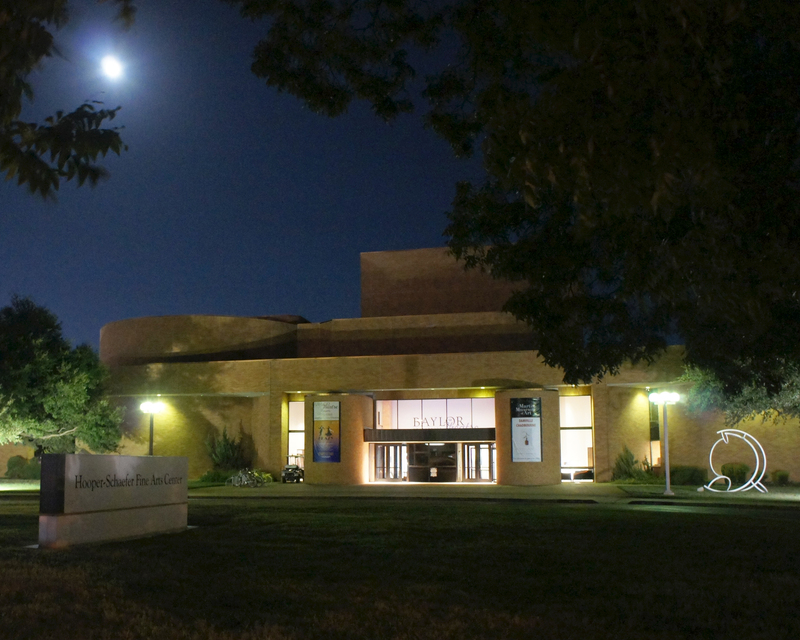 The Baylor Art department is housed in a separate wing of Hooper-Schaefer and works cooperatively with the Baylor Theatre by opening their adjacent galleries for viewing during theatre productions. For additional specifications contact Adam Redmer.